A stepwell in Amer, India. "Some people commented it looked posed," Blaine says, "and it was. But to me that wasn't a bad thing, as the photo is about graphics rather than a caught moment." AF-S VR Zoom-NIKKOR 70-200mm f/2.8G IF-ED, 1/640 second, f/8, ISO 400, manual exposure, Matrix metering. Stilt fishermen on the south coast of Sri Lanka. Blaine shot ten variations of the scene, five horizontal and five vertical. In the end, this vertical was the most popular. D810, AF-S VR Zoom-NIKKOR 70-200mm f/2.8G IF-ED, 1/200 second, f/5.6, ISO 2500, manual exposure, Matrix metering. This image of the Sossusvlei Sand Dunes in Namib-Naukluft National Park, Namibia, took first place in the pro-level Connecting People and Nature category in the 2012 National Wildlife Federation Photo Contest. "The people hiking down the dunes give it great scale," he says, "and I composed it for possible use on a magazine cover." D2X, AF-S VR Zoom-NIKKOR 70-200mm f/2.8G IF-ED, 1/200 second, f/7.1, ISO 250, manual exposure, Matrix metering. "This image of a farmer working the rice terraces near Sapa, Vietnam, is a favorite of mine—I like the graphic elements of the reflections, the repetition of form and the story it's telling. Others agreed, and it was among my entries in the Society of American Travel Writers' (SATW) competition." D810, AF-S VR Zoom-NIKKOR 70-200mm f/2.8G IF-ED, 1/500 second, f/5.6, ISO 500, manual exposure, Matrix metering. Angkor Wat, Cambodia. Blaine got a lot of support for this vertical version over the horizontal shot of the scene, and he went with it for the SATW competition. D810, AF Fisheye-NIKKOR 16mm f/2.8D, 1/500 second, f/22, ISO 800, manual exposure, Matrix metering. "I've taken a lot of wildlife images, but this one, shot in Udawalawe National Park, Sri Lanka, was different, and got a strong response, because of the bird, which follows along as the elephant stomps on vegetation, loosening it up to make bugs and seeds available to the bird. They work together, though what the elephant gets out of the deal is unknown to me." D300, AF-S VR Zoom-NIKKOR 70-200mm f/2.8G IF-ED, 1/320 second, f/6.3, ISO 500, manual exposure, Matrix metering. It's Blaine Harrington's practice each year to enter the Society of American Travel Writers' (SATW) Muster Photo Competition. He's twice been named their Photographer of the Year, and has garnered several individual image and portfolio awards. The awards make for nice additions to the About section of his travel photography website, and they boost his reputation among clients and stock agencies. But there's another factor at work beyond recognition for his photography, and that's what he learns about his photography from the methods he uses to select his contest entries. And that's where you come into the picture. It's possible his methods and the reasons for them might make you a better, even more perceptive photographer. Simply, Blaine asks other people what they think of his photos. He's not soliciting the often scattershot opinions he might get from social media. Rather he's talking with serious photo enthusiasts, picture buyers, photo editors and professional photographers, whose work and opinions he values, to rate and comment on the images he's considering for entry in contests and competitions. At the start he held slide shows for small gatherings of friends, neighbors and local photographers at his home in Denver; sometimes for a larger group at a local library or community center and also to the Colorado chapter of the ASMP (American Society of Media Photographers) and to the Denver Press Club. "I simply thought it would be a good idea to get input, comments and feedback from people in the business," Blaine says, "and from the general public—which is, after all, the viewing audience of my published pictures." At these presentations he most often he used a score sheet, asking people to indicate their favorites. Talking to people afterward, he would sometimes get specific comments on individual images. When he began entering photo competitions, knowing how subjective judging photography could be, and that he would not know the tastes of the judges, he added scoring to the slide shows he gave to friends. "I was looking to find shots that everyone liked—kind of a consensus of image approval." Then he added an online component, sending out a link to 50 selected photos, asking participants to select their top 20 images. Ultimately the benefit of the opinions of others comes down to knowing when one of his photos will appeal to others, and which of a series of variations has the strongest appeal. He knows the judging process can elicit critical comments, but he says it's worth it because it "helps take my emotion out of the equation. I focus on the statistical point of view: Who likes the photo? How many like it? I know you can be wrong judging by how many people like an image, but that's the basis, and I go from there in terms of what my opinion and decision is." What's he learned from the process? "In general, shots that do well in photo competitions also tend to become bestsellers for stock photography. Specifically, I learn the most when people who participate give me specific comments about what they like about a picture, and sometimes what they don't like, or why they might like one version more than another. I take in all this information and filter it, and I believe it helps me continually improve." The key here is having in the judging group people whose opinions you respect, and people whose work you judge to be exemplary. "And," he says, "there are times when people I respect just don't go for a photo I thought was a sure thing, and I honor that. Otherwise, why am I going through the whole process if I'm going to ignore it?" But other times he draws a line. "Sometimes I just know that a picture I've taken is a good, strong shot, and I don't care how many people vote for or against it." 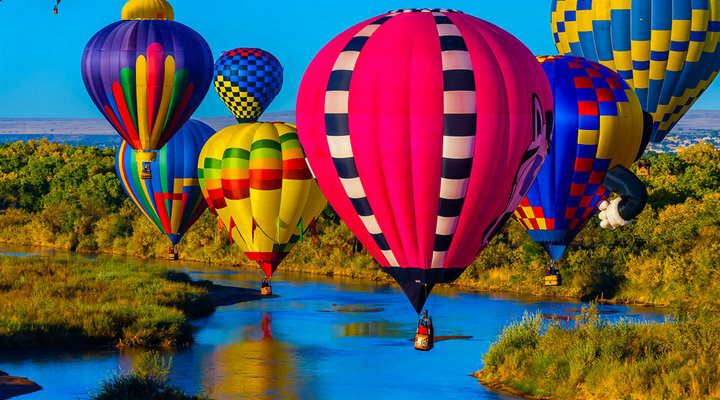 This photo, made at the Albuquerque International Balloon Fiesta, didn't take any contest prizes, but it's been a best-selling stock image. "Correlation between winners and best sellers doesn't always hold true," Blaine says. D700, AF-S VR Zoom-NIKKOR 70-200mm f/2.8G IF-ED, 1/400 second, f/8, ISO 1000, manual exposure, Matrix metering. Baby elephants in the Kapama Private Game Reserve, South Africa. "This did well every time I showed it. It turned out to be an award winner and a stock best seller. It's a photo that resonated with me, and I trusted it would do the same for others." D2X, AF-S VR Zoom-NIKKOR 70-200mm f/2.8G IF-ED, 1/125 second, f/5.6, ISO 320, manual exposure, Matrix metering. Holi Festival, near Mathura, Uttar Pradesh, India. The image was popular with most who saw it. "When I shot it I knew I had something, as the firelight and the smoke worked so well with the ceremonial figure," Blaine says. D810, AF-S NIKKOR 24-70mm f/2.8G ED, 1/15 second, f/2.8, ISO 5000, manual exposure, spot metering. "I got a lot of positive comments on this silhouette of a farmer on his combine during a wheat harvest in Goodland, Kansas. It's a strong composition with great lighting, lots of detail and good storytelling. It made a large stock sale as soon as it went online." D700, AF-S NIKKOR 14-24mm f/2.8G ED, 1/4000 second, f/7.1, ISO 800, manual exposure, Matrix metering. "In Hue, Vietnam, I shot a number of photographs of Vietnamese women in traditional garb—group shots, one or two walking and individual portraits. This was the one I felt got the best response, and was the strongest image." D810, AF-S VR Zoom-NIKKOR 70-200mm f/2.8G IF-ED, 1/500 second, f/5.6, ISO 320, manual exposure, Matrix metering. In Lijiang, Yunnan Province, China. "Another version of this—a wider view—got a better response, but I went with this one because it had the human element—the man in the boat—and I tend to side with images with human interest." D810, AF-S VR Zoom-NIKKOR 70-200mm f/2.8G IF-ED, 1/500, f/5.6, ISO 640, manual exposure, Matrix metering. If you see the benefit of getting comments about your photographs, you can get them at meetups, online, from family and friends, camera club members, down at the local camera store and, yes, even social media if you're discerning and careful. • Be sure the people you ask for opinions either do good work or know good work when they see it. • Don't take to heart what one person says, either good or bad. "But if you ask 20 people and 15 say the same thing, you can go to the bank with that," Blaine says. • And he adds, "If someone says to you, 'Maybe you should try this,' or 'Have you ever thought of trying it that way? '—that's an important message." • Blaine photographs for commercial use, which is why he shoots a lot of variations and alternates—a horizontal and a vertical version because a client may want a cover for a magazine or a two-page layout inside an issue. He positions the photo's main subjects in different places to allow for advertising and editorial headlines and text. Chances are you won't need to do that, so edit your alternates. Ruthlessly. "People don't realize that if they cut it down to the best of each scene, the overall presentation, whatever it is, is going to look so much better." • The comments and evaluations Blaine receives affect his choice of contest entries, but not what or how he photographs. Which means don't try to keep shooting what other people like. Shoot what's right for you. "I'm an experienced photographer," Blaine says, "and I know how to do what's right for the situation in front of me at any given time. I don't shoot with the thought, How will this be judged?" • Which doesn't mean that comments can't help you realize there are things you're repeating—subjects, styles, techniques. If you hear that judgment, give it a thought. You need to add more variety to your work. • Be aware of what works on an emotional level. "Over time I've learned that very often pictures that resonate with me do the same with others,' Blaine says. "When you feel something and have it affirmed, learn to rely on that feeling." • And if you're into contests, be aware of what seems to work for judges. "Putting people into pictures is a personal preference," Blaine says. "They give a photo scale and human interest. Though I don't know for certain, over the years I think judges seem to be partial to photos with people in them." • These days the choosing and judging of pictures takes place all the time and everywhere—on Facebook, Flickr, Instagram, 500px and countless other sites. Everybody sees pictures, comments on them, awards them likes, stars, thumbs up, rates them as favorites. Blaine believes there's some validity to those judgments as "one more way to get feedback, but they're not consistent enough for me to regard very highly." He prefers a smaller group whose standards and judgments he's come to rely on. • Ultimately, it comes down to leaving yourself open to opinion. "Maybe you find, as I do, that it's easy to select the strongest images from another photographer's work, but not so easy when it's your photography," Blaine says. "Maybe I've got favorites because I enjoyed being in a certain place, or maybe because I had to struggle to get the picture at all. So I look for some other opinions. I want to know how others are seeing my work, and how they respond to it. I don't have all the answers, and I need to know what other people think." An award-winning travel photographer, Blaine Harrington has photographed in over 70 countries, compiled a photo archive of over 400,000 photographs, and is still at it, constantly traveling to add new and updated images. His website, blaineharrington.com, features an extensive collection of his worldwide photographs.